The Top Six Tools You Will Need To Improve Your Marketing | Be "Noticed"
The Top Six Tools You Will Need To Improve Your Marketing. Although offline marketing remains a profoundly effective method through which to share information regarding your goods and services, online marketing is important too. This is the case for several reasons, including the fact that internet use is growing faster than ever. As you begin to advertise your business’s goods and services online, you should remember that marketing at the local level is just as important as appealing to the global audience. In order to market your local business online, remember to create a website, get listed in local web directories, and use keyword analysis to optimize your SEO strategies such that people in your area can find your website and/or physical office. A great blog can be one of the most effective tools that you use when you launch your marketing campaign. Blogs are incredibly effective advertising tools for several reasons, including the fact that they give you the opportunity to inform people about the quality of your goods and services through interesting, informative content. Additionally, blogs give you the opportunity to interact with prospective clients when you include relationship-boosting features like e-mail newsletters and response boxes. Like blogs, Share Buttons are a great way to improve your marketing capabilities. Share Buttons are efficacious advertising tools because they allow your web or blog visitors to forward your content to everyone else in their social networks. With Share Buttons, your blog or web content can be forwarded to people via Twitter, Facebook and a plethora of other social networks. Although broadly defined, branding is basically a process that involves creating a unique image and name for your company’s products and/or services. Branding is an effective marketing tool because it causes your goods to stick in the mind of the consumer. Additionally, branding affords you an opportunity to differentiate your products and services from those being offered by your competitor. There are several things that you can do to make your branding campaign is successful. You can place your company icon and logo in a conspicuous place on your blog, website, business cards and company paraphernalia. Promotional products are a a great marketing tool that should be an integral component of your advertising campaign. There are different promotional products you can use to advertise your goods and services. Some of them include t-shirts, pencils, pens and coffee cups. By placing your company logo or image on these items and distributing them to your customers, you will be able to ensure that your company name becomes increasingly visible to the public. No matter how proficient you are at marketing your business’s goods and services, a marketing consultant can almost always do a more expedient and excellent job than you. For this reason, you should almost always consider hiring a professional marketing consultant when you prepare to launch your advertising campaign. 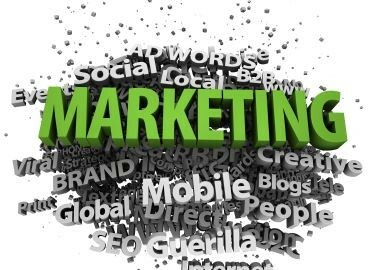 There are useful strategies that a marketing consultant might implement in order to make your advertising campaign successful including SEO strategies, online reputation management techniques, SMO (Social Media Optimization) and more. Although you may think that effectively marketing your business’s goods and services will be difficult, it doesn’t have to be. By implementing some or all of the strategies listed above, you can ensure that more and more people become aware of the products you sell. Once this happens, your business will likely experience the continual growth and expansion that you want. Good luck!